For patients looking to improve the appearance of their skin and reduce any scarring, microneedling can help greatly. 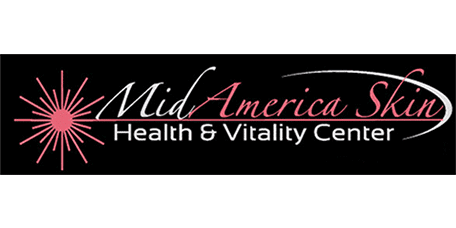 At MidAmerica Skin Health & Vitality Center, Dr. Muccini helps Chesterfield and St. Louis area patients minimize the appearance of fine lines, wrinkles, and scars. "Loved this doctor. Very personable and efficient." Microneedling is a treatment used to stimulate the skin’s natural elastin and collagen production. The treatment works by utilizing a sterile device, the SkinPen®II which holds multiplemicro-needles in its tip. The SkinPen®II device creates tiny, micro-injuries in the skin that stimulate the healing response. Micro-channels created during the procedure can also be used to apply one or more topical products to penetrate deep into the skin. The procedure is effective at addressing wrinkles and fine lines, stretch marks, injury scars, and acne scars. The treatment usually feels a bit like sandpaper being wiped over the skin. The discomfort should be minimal and topical numbing agents are typically applied prior to the treatment. Normally, results can be observed as a glow present immediately after the procedure. Visible improvement of scars and wrinkles takes roughly 14 to 21 days and can continue to improve for up to 6 months. Generally, patients choose to receive three to six treatments. The procedures take place every 4 to 6 weeks to allow healing time. Deep wrinkles, acne scars, stretch marks, and progressed photoaging can take up to 8 treatments before notable results are seen. The skin will appear red and flushed, similar to a moderate sunburn. There can be some mild tightness, peeling, or swelling as well, which may last from 12 to 72 hours. The precise healing period will vary depending on the individual as well as the intensity of the particular treatment. Some patients may heal in one day while others could require additional time. "Excellent communication skills and exceptional care. Nice office and staff as well. Very considerate in terms of scheduling." "Great guy and staff. Quite attentive, listened well, spot on diagnosis with no misdirection....Presented excellent, clear instructions to follow." "He is so on target with every diagnosis...is able to quickly get to the bottom of an issue & treat it accordingly...I would recommend him to everyone..."